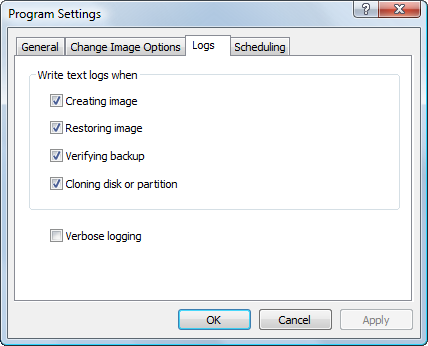 Text Logs are optional and may be turned on and off during image operations. This tab allows you to select the default value for various image wizards. Verbose logging is useful as a troubleshooting measure to locate the source of an error.